As I wait for my final group project to be placed into the folder for submission by our group leader, I had time to reflect on some of the Sci-Fi flicks I have watched over the past days. 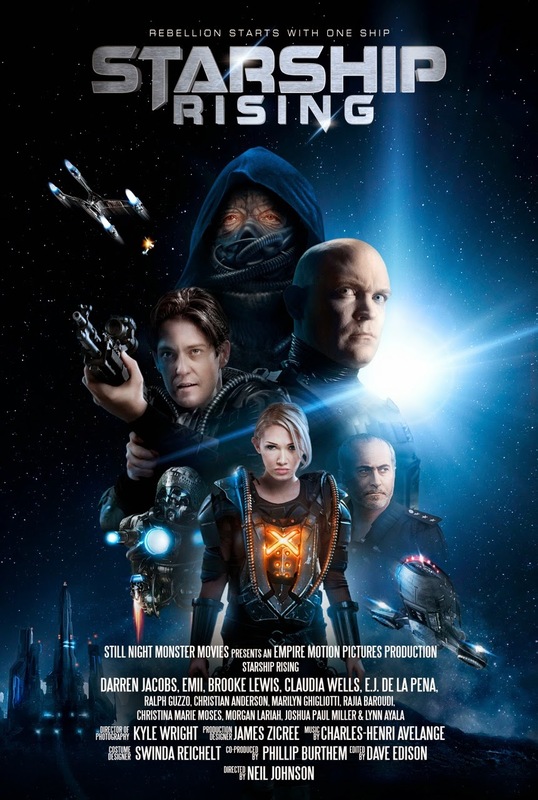 Next up for review from that list is the 2014 space movie Starship: Rising. Plot/ Starship One - the most powerful warship in the Federation, capable of destroying entire worlds. When the order is given to destroy the Earth, Flight Lieutenant John Worthy mutineers Starship One and takes on the might of the Federation. As I wait for my final project to upload for my computer science class, I decided to venture into some no-budget indie horror for my nightly review. 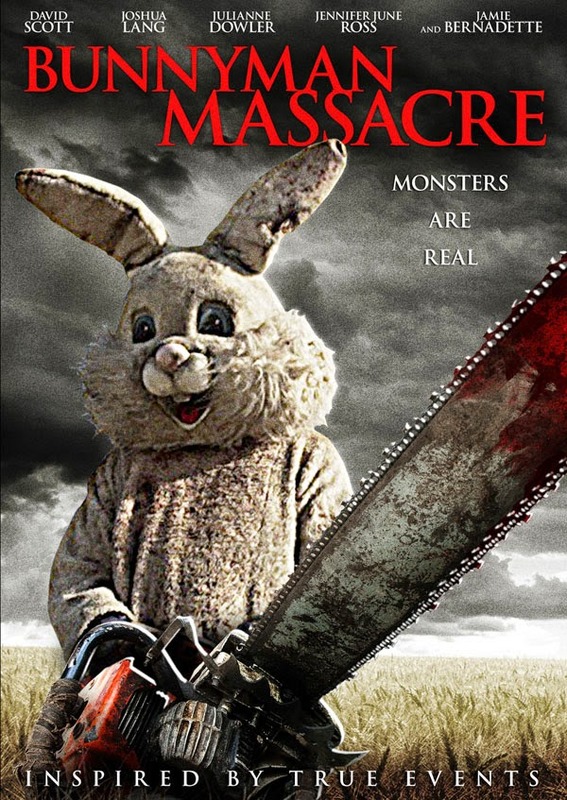 Next up on the slab is the 2014 slasher The Bunnyman Massacre. Plot/ The adventures of Joe and Bunnyman know no limit of bloodlust and carnage. Bodies pile up as Bunnyman indiscriminately slaughters anything that crosses his path in a mutually beneficial relationship that gives Joe plenty of beef jerky to sell in his local store. While it was a fun trip tonight to see Laurel Highlands defeat Elizabeth Forward in the opening game of the 2014 season, it made for a long day. Fortunately, I have a few movies to catch up on here at the blog. 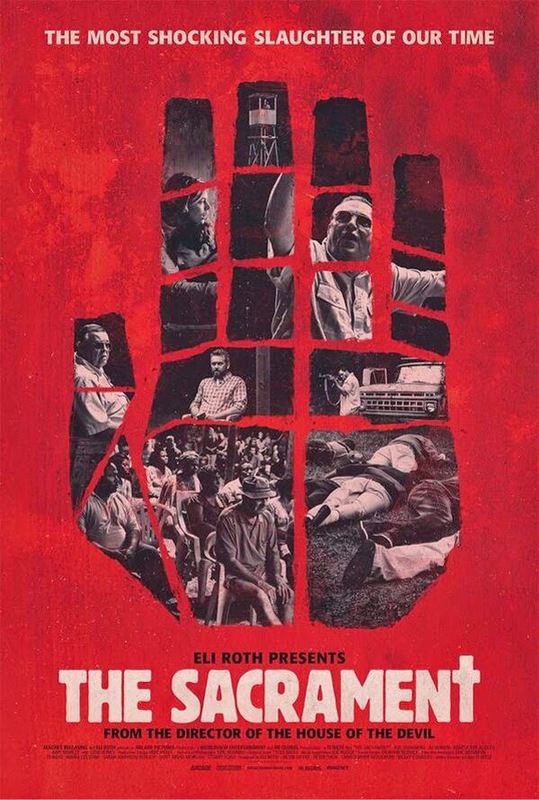 Next up, is the 2014 found footage thriller, The Sacrament. Plot/ A news team trails a man as he travels to an undisclosed location to find his missing sister. Upon entering "Eden Parish" and meeting the community's leader, it becomes apparent to the newcomers that this paradise may not be as it seems. I hate when I have to pull a late night at the institute, it sets the rest of my week off. Of course, I could have probably just came home, but I will admit that the overtime will look nice on my next check. 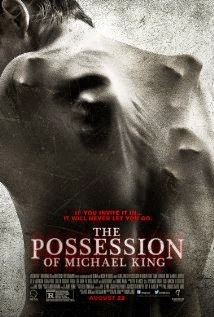 Getting back to the blog, the next film to review is the 2014 supernatural entry The Possession of Michael King. Plot/ Michael King does not believe in God or the Devil. Following the sudden death of his wife, Michael decides to make his next film about the search for the existence of the supernatural, making himself the center of the experiment - allowing demonologists, necromancers, and various practitioners of the occult to try the deepest and darkest spells and rituals they can find on him - in the hopes that when they fail, he'll once and for all have proof that religion, spiritualism, and the paranormal are nothing more than myth. In my new college class, I have been focused on building videos and podcast. This is what I hope becomes a regular series here at The Ringmaster's Realm, an investigation video. In the strange world that exists around us, there are chances to experience the unknown around every corner. This first one is from a Bigfoot Expedition from Fayette County in 2012. Any and all feedback would be much appreciated. If you are interested in a copy of Searching the Abyss, drop me a line and we can work out the details. Enjoy! After diving into some scientific (at least fringe science) research last night, I decided that it was time to hit Family Video to see what was in stock. While the one movie I was looking for was out again, they did have a couple of flicks that seemed interesting. The first movie up for this Saturday night is the 2014 paranormal flick, The Quiet Ones. Plot/ A university professor and a team of students conduct an experiment on a young woman, uncovering terrifyingly dark, unexpected forces in the process. 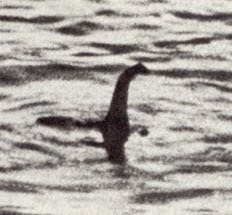 The Loch Ness monster, or "Nessie" as it is often referred to, may be the most well known cryptid in the world. From the first sighting of the Loch Ness Monster in 565 AD when missionary Saint Columba encountered the mysterious creature as he crossed the loch, people have been drawn to this strange land.Before we delve into the creature lets explore his dominion. Loch Ness is the largest lake in Great Britain, being 23 miles long, one mile wide, and almost 900 feet deep in places. It is so immense that it is estimated that every person on the planet earth could fit inside. The loch lies in one of the most stunning regions of Scotland, surrounded by lush green hills on all sides. 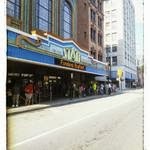 It is amazing how energizing that trip to the Finding Bigfoot town hall was. Honestly, I would love to get back into the field, and may do just that this weekend. When I do get out there, I hope it is Sasquatch that I find, and not some backwoods cult that wants to sacrifice me to The Pit, like happened in my next flick for review, Jug Face (2013). 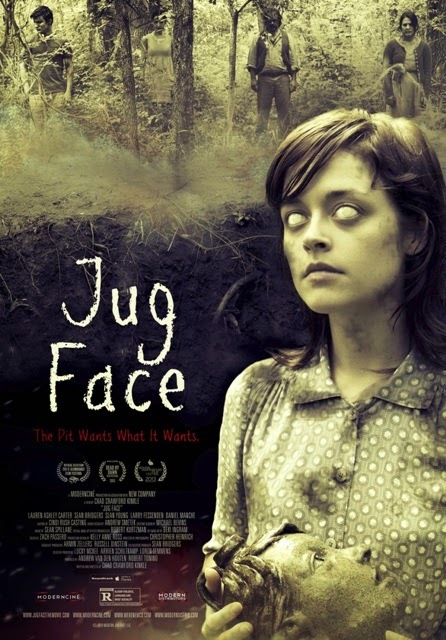 Plot/ Jug Face tells the story of a pregnant teen trying to escape a backwoods community when she discovers that she may be sacrificed to a creature in a pit. Last night I took an evening away from the computer and the house, as Jillian and I went down to the State Theater in Uniontown for the Finding Bigfoot town hall meeting. 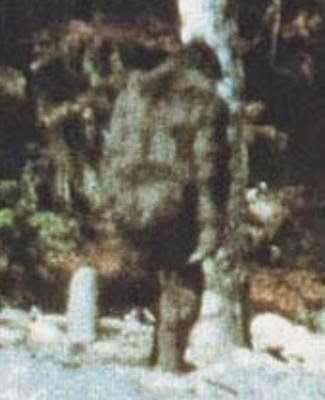 If you have followed my blog, Fayette County has a rich history of Sasquatch sightings and I have ventured out on more than one occasion to attempt to locate this mysterious cryptid. Unfortunately, while there have been some interesting encounters, there has been no definitive evidence found. During the town hall, the eyewitness testimony was awesome and provided a familiar outline of areas to check out. In fact, I have been to all of these areas on multiple occasions, and thus have hope that the truth will be found at some point. While I have been splitting time between Fringe and Ancient Aliens, I did find my way to Pittsburgh to hand out with my cousin Jennifer (visiting from Seattle) and her brothers, Jonathan and Jason, as they performed with their band, The Dumplings last night in the city. It was so awesome watched Jennifer hit the stage for an Alice Cooper cover to close the show. 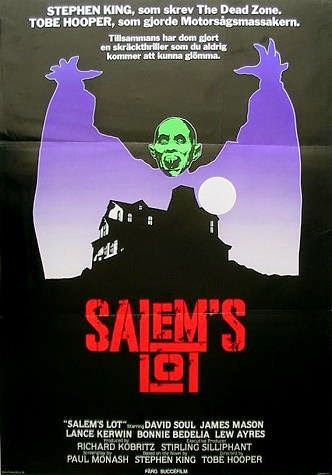 Today, I decided to venture back to my youth while doing some homework with the 1979 classic Salem’s Lot. Plot/ Young novelist returning home to Salem's Lot after many years is disturbed by the strange behavior of its people. He begins to believe that the source of the trouble may be the eerie old Marsten House that overlooks the town. With the end of another week at hand, it was time to jump back into review mode. While Bren and Jillian finally broke down and watch Stage Fright last night, I decided to visit something different. 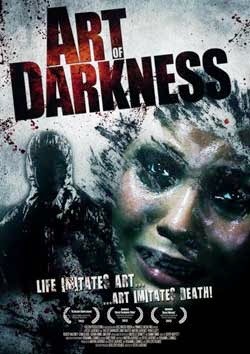 My choice, the 2012 British import Art of Darkness. Plot/ A young woman is held captive by an unhinged lunatic intent on transforming her into his latest blood-splattered masterpiece. Art of Darkness (AKA Art House Massacre) is a low budget entry that definitely suffers from many of the ailments that plague similar movies from the genre. An interesting premise, the execution does not match the potential that is in place. The dialog is all over, the acting uneven, and the characterizations lack depth. Sure, there is a touch of gore and the pacing picks up as it moves along. In the end, this one is just another forgettable film in the horror genre. There are a few moments that are entertaining, but not enough to search it out. This has been a weird week, with one of my students convinced that time travel is, in fact, taking place in this day and age. While I do not discount the idea or theory, I personally would love to see it for myself. Ironically, walking through Family Video, I stumbled on a movie with a similar theme, the 2013 entry, I’ll Follow You Down. 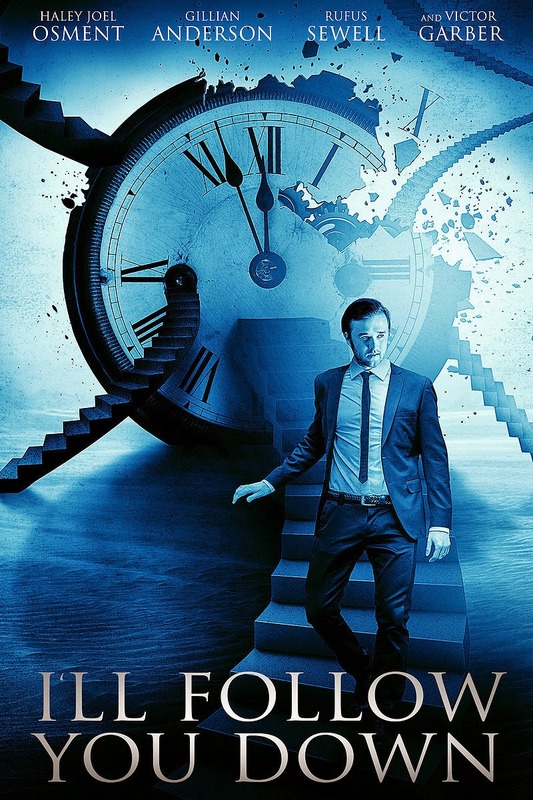 Plot/ After the disappearance of a young scientist on a business trip, his son, and wife struggle to cope, only to make a bizarre discovery years’ later - one that may bring him home. I have watched my share of crazy movies over the past few weeks, and decided that it was time to take a break from the different fictional worlds that I usually live in. Instead, I decided to venture into some documentaries for the week. First up for review is the 2008 entry, Devil’s Bible. Plot/ At 165 pounds, and allegedly made from the skins of 160 donkeys, the Codex Gigas is the world's largest and most mysterious medieval manuscript. 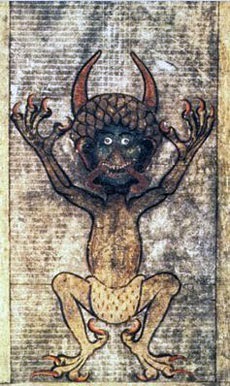 Filled with satanic images and demonic spells, according to legend, the cursed text sprang from a doomed monk's pact with the Devil. Now, Nat Geo follows a team of scientists as they embark on an unprecedented quest to unravel the secrets behind the book's darkened pages. Using ultra-violet fluorescence imaging, handwriting analysis, and a re-creation of the text, forensic document experts attempt to uncover the cryptic truth behind this ancient Devil's Bible. It has been a long weekend as we spent the majority of our time at the softball field for a local tournament. While I do not mind the game, there are times where enough is enough. 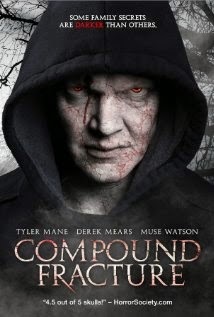 I did have some time to catch some flicks; one of the first was the 2013 entry Compound Fracture. Plot/ As a strange family reunion commences, an uninvited guest shows up and we learn bits and pieces about the real reason behind Chloe's death and why Brandon is so closed off from Michael. This fractured family will have to come together to fight the ghosts of their pasts and make it out alive!